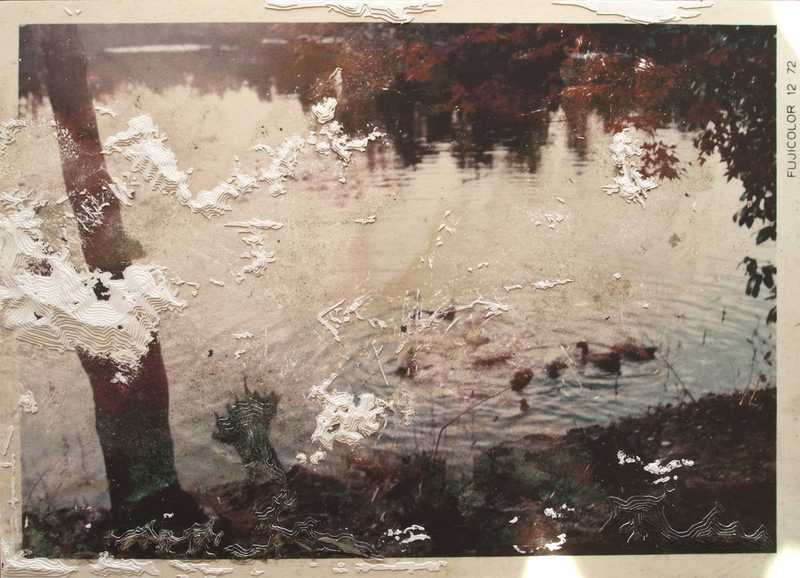 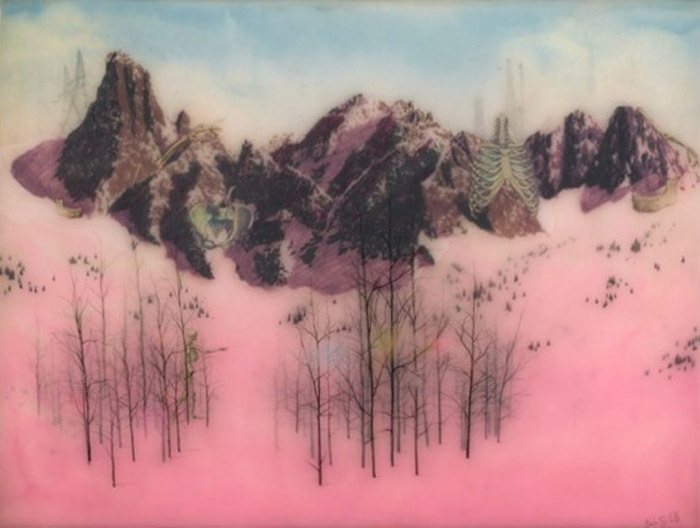 Johansson Projects presents Temporal Void, a two person show featuring new works by Mayumi Hamanaka and Brooks Salzwedel, in which the vulnerability of our environments, histories and memories is brought to the forefront. 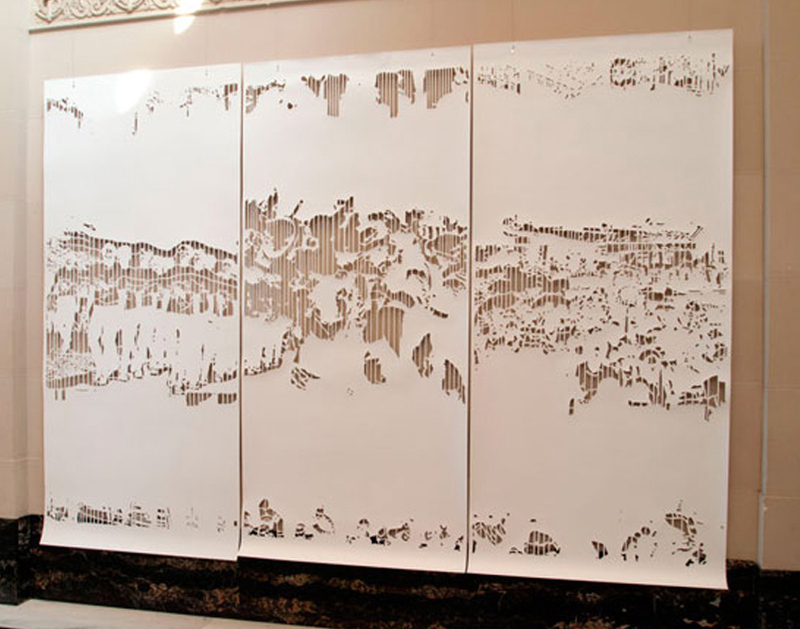 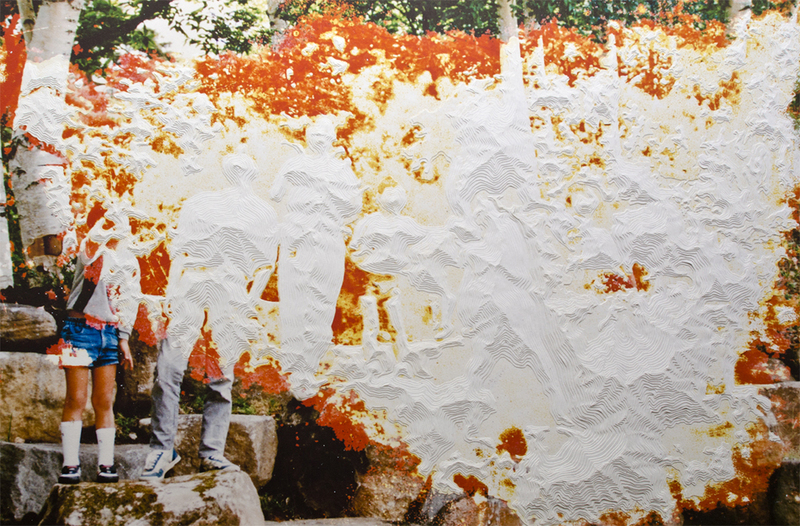 By slightly distorting recognizable images from twentieth century wars and layering hand cut prints and paper, Mayumi Hamanaka investigates perceptions of history and the contexts in which histories are written. 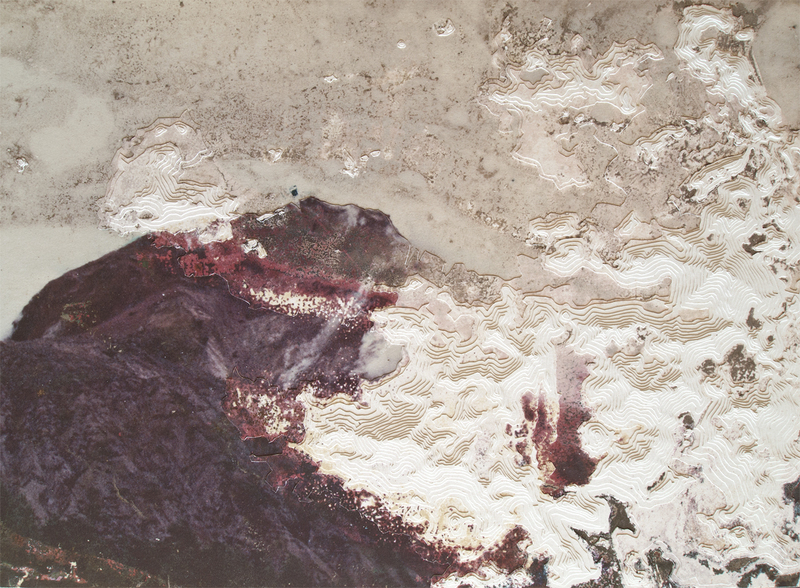 In Hamanaka’s latest project, Invisible Lands, her process is applied to photographs found in the aftermath of the devastating 2011 earthquake and tsunami in Japan. 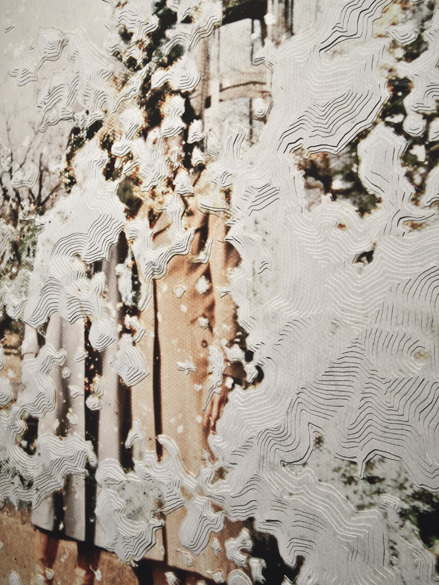 Using these photographs Hamanaka re-imagines and recreates the memories and histories of people, places and moments that have been lost in an instance. 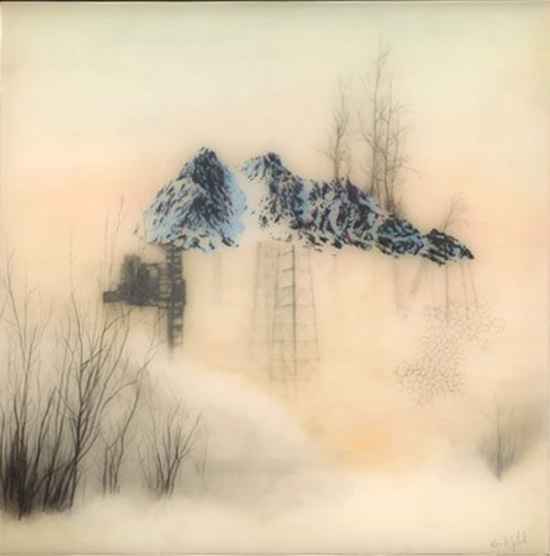 Brooks Salzwedel’s work evokes the fragility of our environments, natural and unnatural, often by showcasing the junction of urban development and natural landscapes. 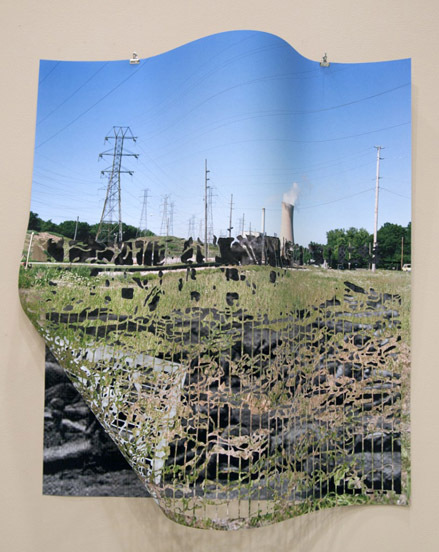 These works simultaneously display the transition between unnatural encroachments on the natural and natural reclamation of environments. 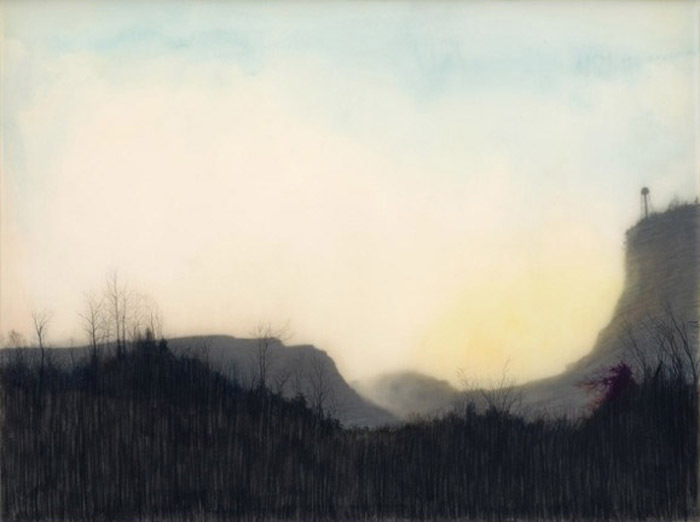 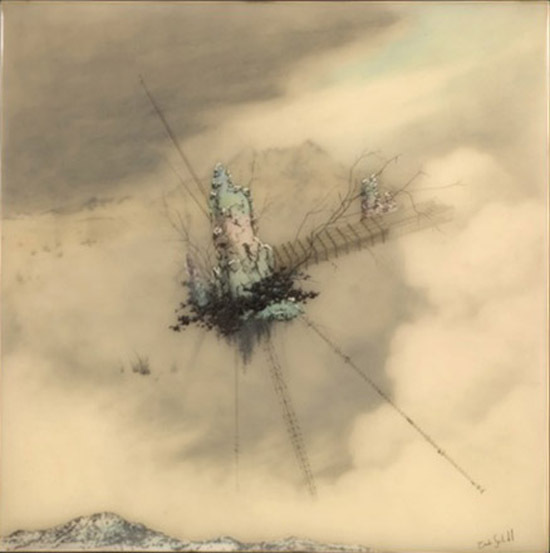 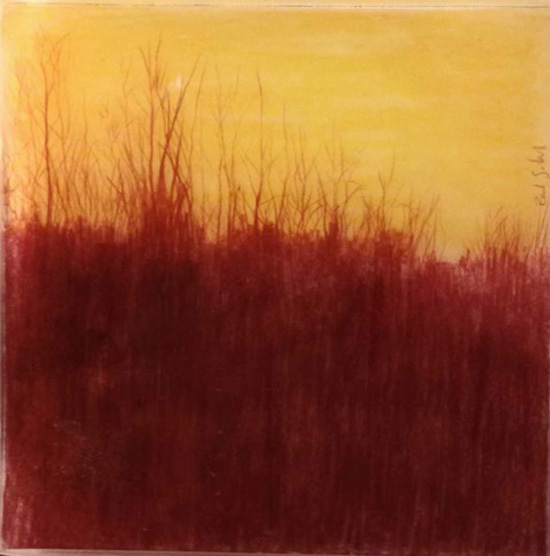 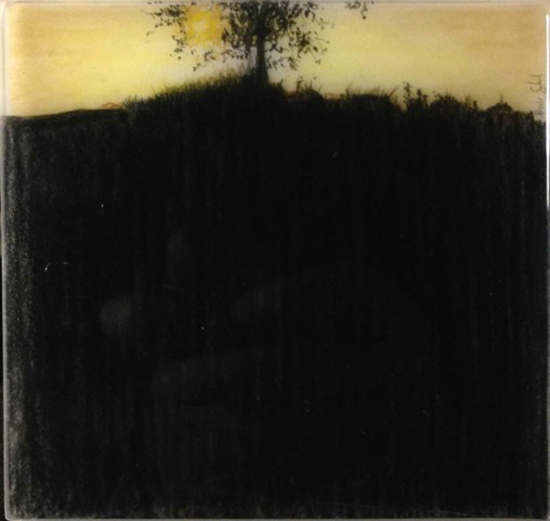 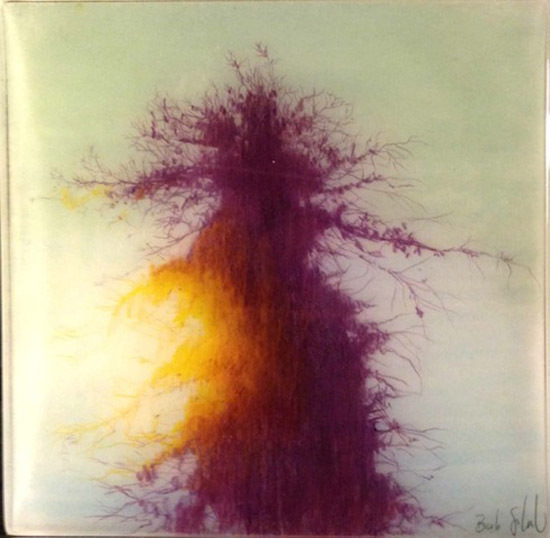 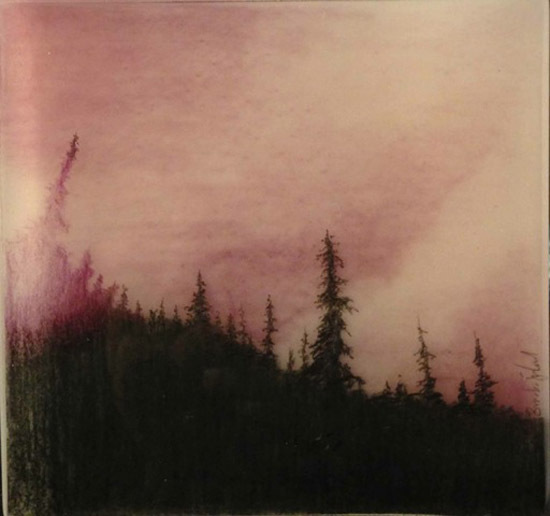 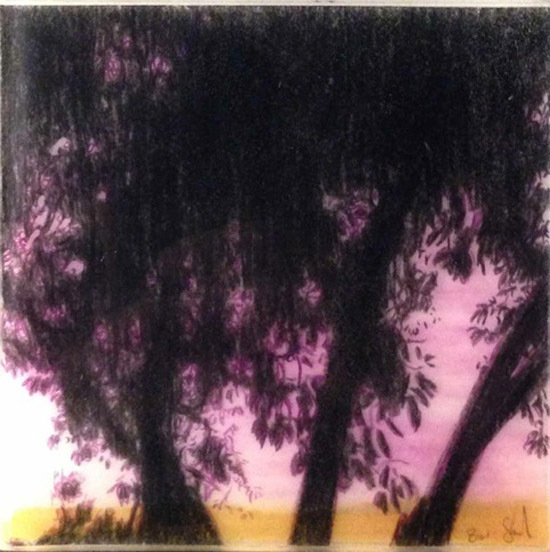 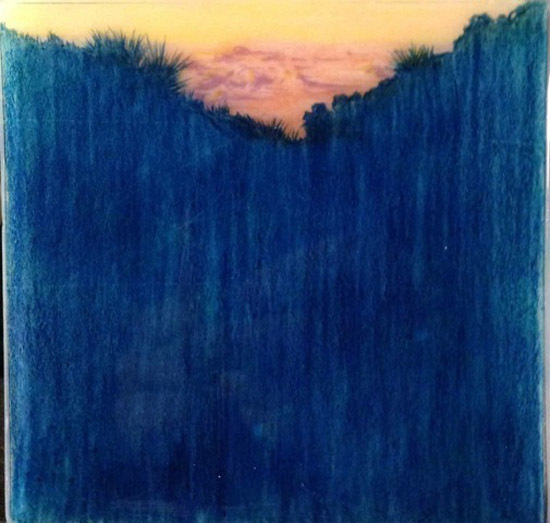 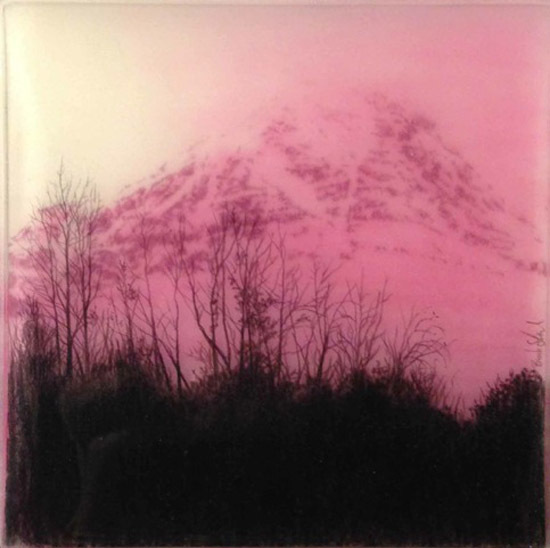 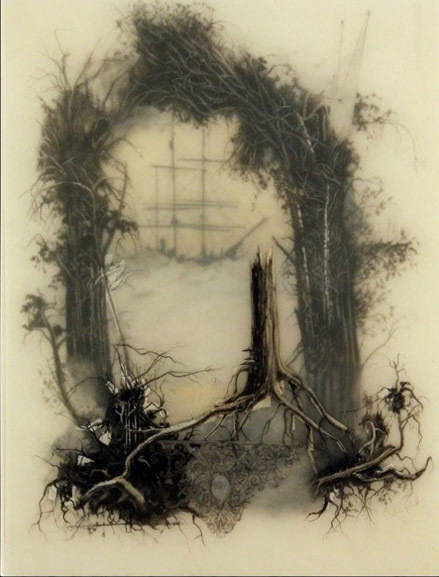 Salzwedel’s graphite, colored pencil, and mylar works are cast in resin. 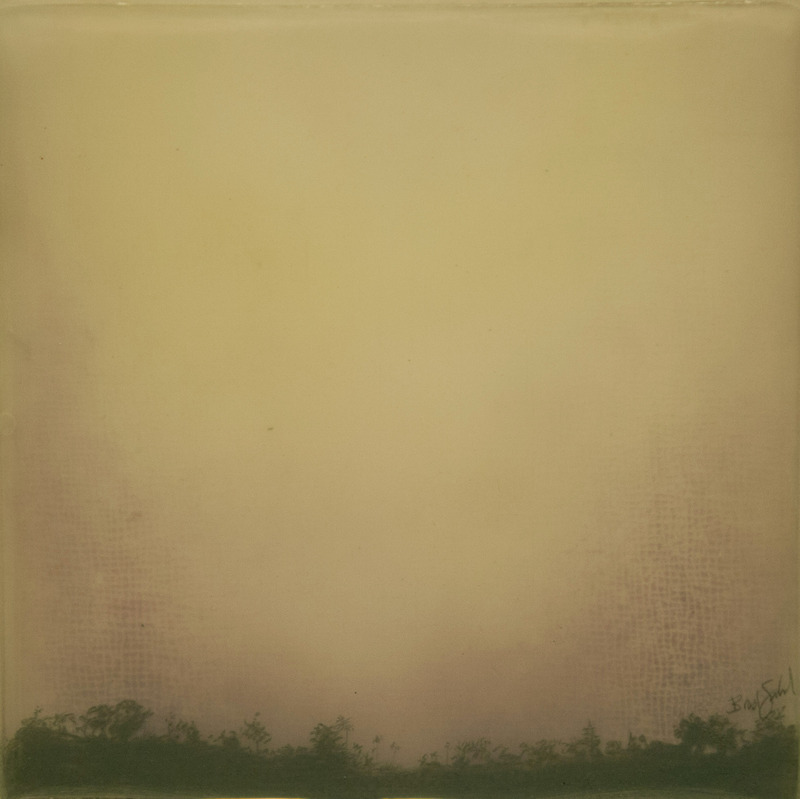 The resulting serene yet eerie landscapes are full of depth. 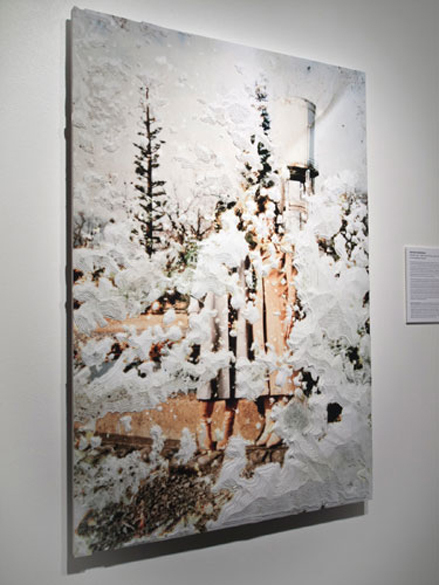 Mayumi Hamanaka received her MFA in Photography from California College of the Arts. 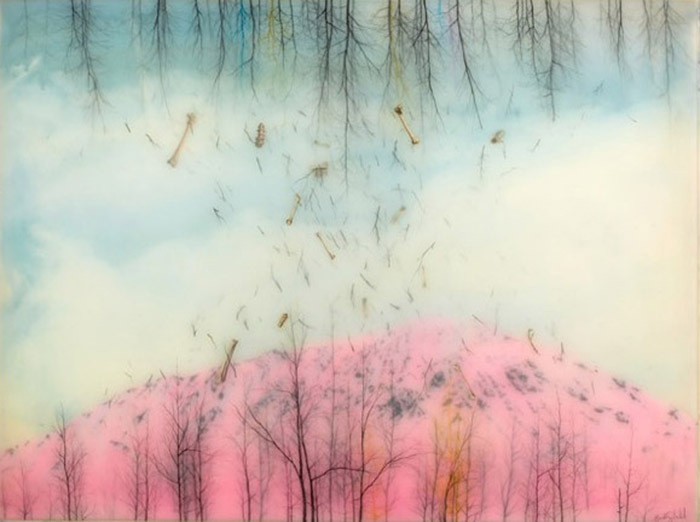 She was awarded a Murphy Fellowship Award in 2003, and has attended artist residencies nationally and internationally at Santa Fe Art Institute in New Mexico and Taipei Artist Village in Taiwan. 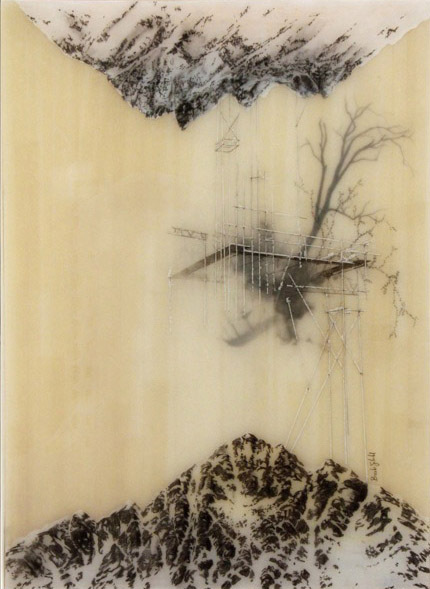 She is currently a Fine Art Museum of San Francisco de Young Artist Fellow. 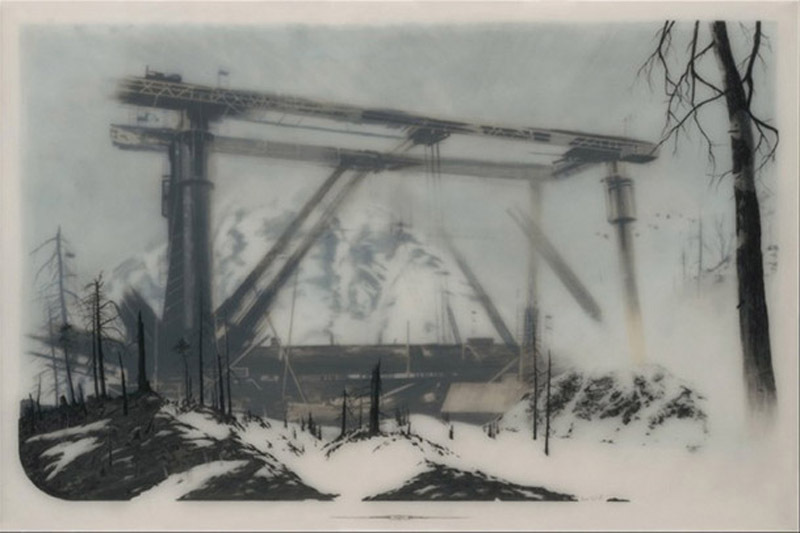 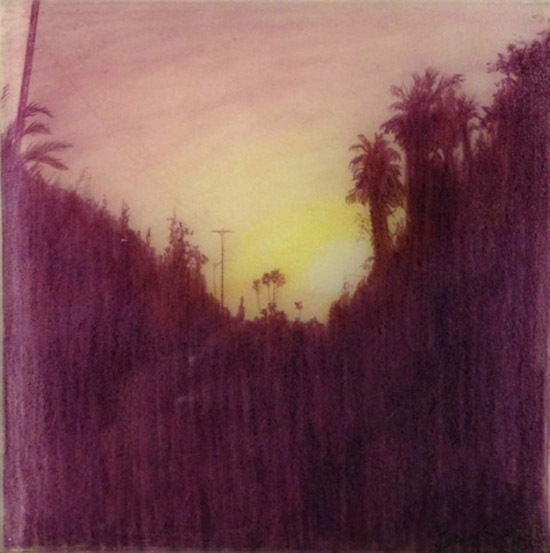 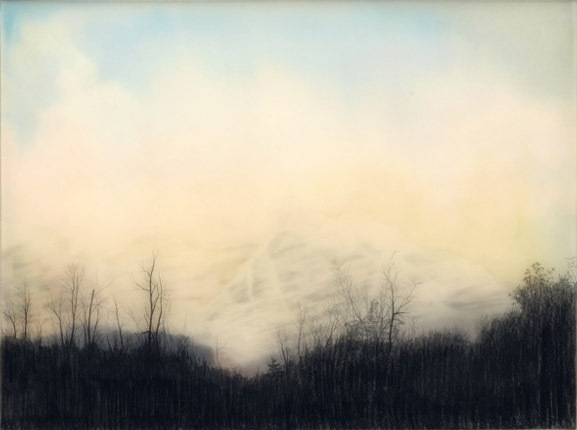 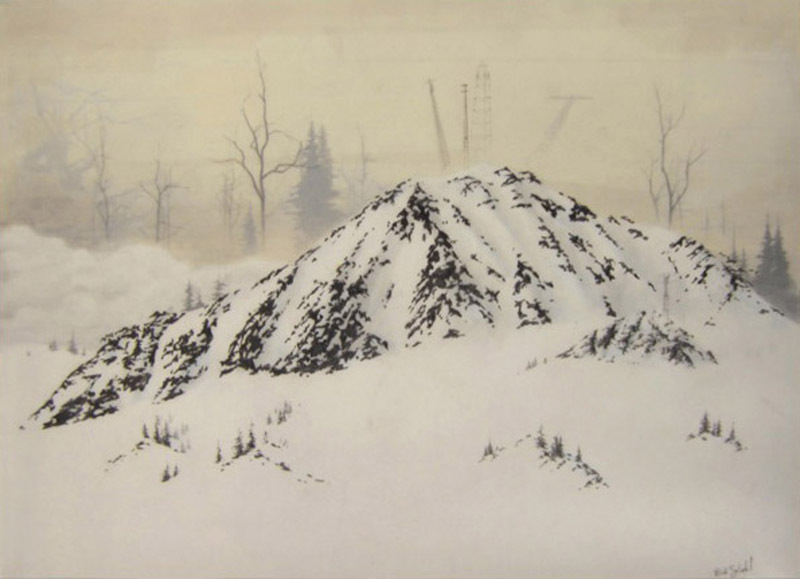 Brooks Salzwedel received his BFA from Art Center College of Design in Pasadena, CA. 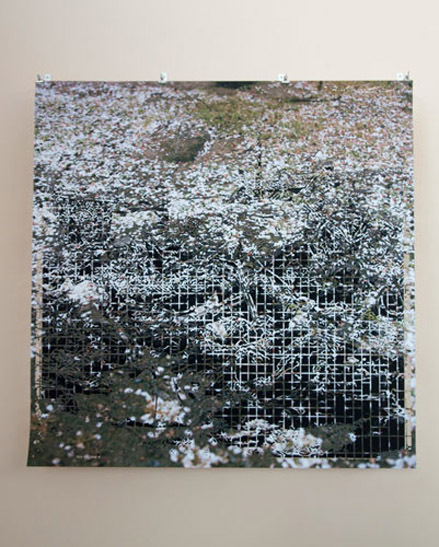 He has been widely exhibited in solo and group exhibitions at many institutions, including group shows at the Hammer Museum and MOCA, as well as work acquired by The Houston Museum of Contemporary art, and the Portland Art Museum. 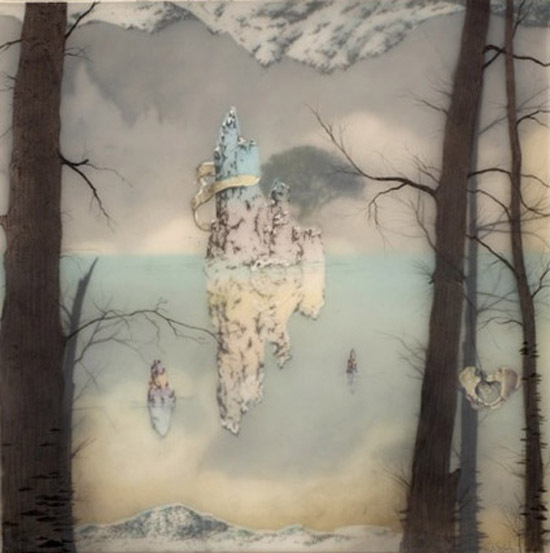 mayumi hamanaka // Invisible Lands 2 - Group Shot - Archival Pigment Ink Print; 41" x 58"
mayumi hamanaka // Invisible Lands 3 - Birds - Archival Pigment Ink Print; 18" x 26"
mayumi hamanaka // Invisible Lands 4 - Mountain - Archival Pigment Ink Print; 18.5" x 26"
mayumi hamanaka // Invisible Lands - Water Tower & Two Ladies (detail) - Photo-based, cut-out images and photography; 30"x42"
mayumi hamanaka // Aboveground 2 - Tokyo-1945, Off Highway 5, CA-2010 - Archival pigment print; 43" x 43" x 4"
mayumi hamanaka // Aboveground 2 - Tokyo-1945, Indiana-2011 - Archival pigment print; 43" x 43"
mayumi hamanaka // Grain of the Voice - Paper; 132" x 90"
brooks salzwedel // Little Big Mountain - Graphite, tape, mylar, resin on panel; 12" x 16"
brooks salzwedel // The Fourth - Graphite, tape, charcoal, resin on mylar, resin on panel; 25.5" x 37.5"
brooks salzwedel // Ship Wreath - Graphite, tape, color pencil on mylar, resin on panel; 16"x12"
brooks salzwedel // Twin Mountains - Graphite, tape, color pencil on mylar, resin on panel; 16"x12"
brooks salzwedel // Tufa Tufa - Graphite, tape, colored pencil, spray paint, mylar, resin on panel; 12"x12"
brooks salzwedel // Tufa - Graphite, tape, colored pencil, mylar, resin on panel; 12"x12"
brooks salzwedel // Fog Mountain with Thoracic Cage - Graphite, tape, watercolor, on on mylar, resin on panel; 12"x16"
brooks salzwedel // Cliff with Misplaced Water Tower - Graphite, tape, color pencil, watercolor on mylar and resin on panel; 18"x24"
brooks salzwedel // Structured Mountain - Graphite, tape, colored pencil, mylar, resin on panel; 12"x12"
brooks salzwedel // Pink Mountain - Graphite, tape, color pencil, spray paint on mylar and resin on panel; 18"x24"
brooks salzwedel // Bones of the Mountain - Graphite, tape, color pencil, spray paint on mylar and resin on panel, ; 18"x24"
brooks salzwedel // Eucalyptus Tree - Graphite, colored pencil on mylar, resin on panel; 4"x4"
brooks salzwedel // Silver Lake Tree - Graphite, colored pencil on mylar, resin on panel; 4"x4"
brooks salzwedel // Ryan Mountain - Graphite, colored pencil on mylar, resin on panel; 4"x4"
brooks salzwedel // Marathon Street - Graphite, colored pencil on mylar, resin on panel; 4"x4"
brooks salzwedel // Griffith Park Hike - Graphite, colored pencil on mylar, resin on panel; 4"x4"
brooks salzwedel // Sierras 2 - Graphite, colored pencil on mylar, resin on panel; 4"x4"
brooks salzwedel // Sierras 3 - Graphite, colored pencil on mylar, resin on panel; 4"x4"
brooks salzwedel // Inyo - Graphite, colored pencil on mylar, resin on panel; 4"x4"
brooks salzwedel // Meadow Lake Trees - Graphite, colored pencil on mylar, resin on panel; 4"x4"